We at Affordable Family Storage work hard to make self-storage as easy as possible. From drive-up storage unit access to automatic bill paying, round-the-clock access, and more, we offer some of the easiest self-storage in the area. But one thing you can do to make things easy on yourself is to pick the right packing supplies. Picking the right packing supplies can be the difference between finding your things in great condition and finding them in disrepair when you need them again. Here, the self-storage pros at Affordable Family Storage share advice for choosing the proper packing materials for your items. Despite what many people believe, cardboard boxes are not the best storage container for all your items. Cardboard boxes are not durable over long-term storage. Rough floor surfaces, moisture, and temperature changes can wear down the boxes over time, leaving your items vulnerable to further moisture, pests, or more. Bankers boxes and plastic totes with snapping lids are often your best bet for reliable long-term storage. Cardboard boxes will suffice for many short-term jobs, especially because they can be easily acquired in a pinch. Knowing what items to wrap and how to wrap them can save you a lot of trouble when you need to pull your things from storage. While you may think it’s best to wrap things tightly in plastic or bubble wrap, this is actually not the case for many wooden items. These items should be wrapped first with a blanket or cloth material to allow the wood the ability to “breathe” while it’s wrapped. Because wood contains moisture, wrapping it too tightly can cause damage and warping over time. As anyone who has packed in a hurry knows, having these things handy will make your life a lot easier. 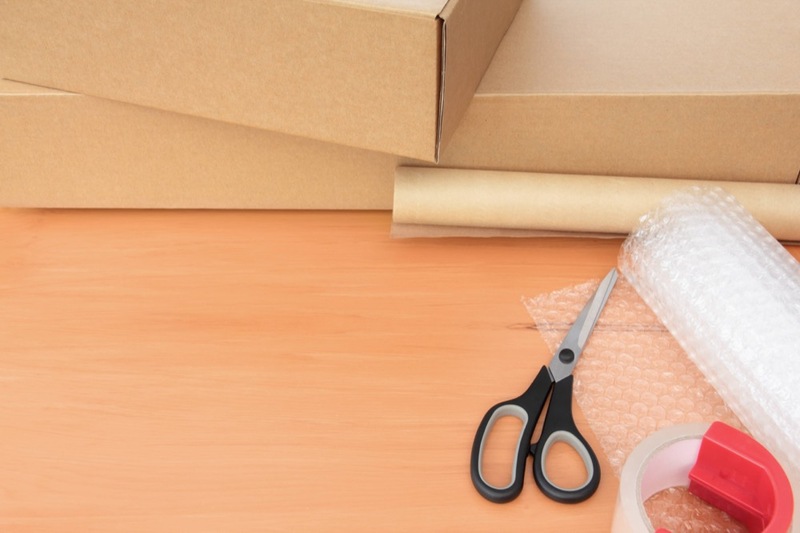 Tape lets you secure your boxes and wrap your fragile items. Scissors help you trim labels and excess tape. Markers make labeling your boxes and keeping a roster of all the items you’re putting into storage easy. The best piece of advice we can give is to choose a self-storage facility you can trust. Affordable Family Storage in Ozark offers layered security, climate-controlled units, drive-up access, and packing supplies available on-site. Come find out what makes us the best in Ozark self-storage. Contact us by phone at 866-838-7990 or reach us online here.